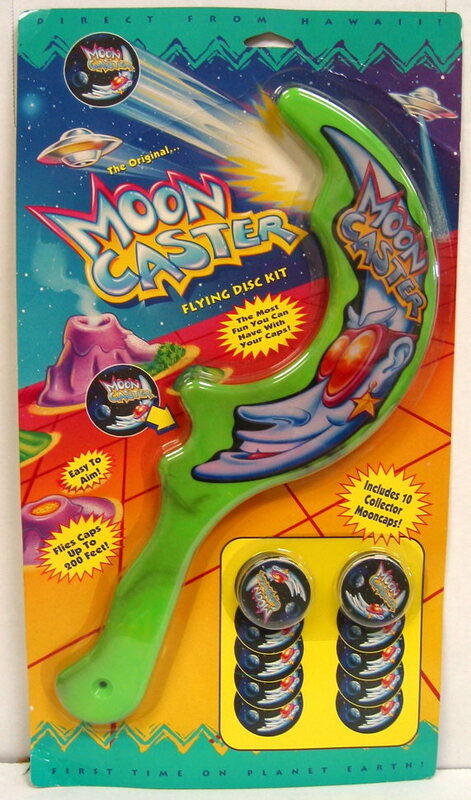 The Original MoonCaster Flying Disc Kit (1994). This entry was posted in accessories by Mikester. Bookmark the permalink. That actually does look significantly more fun than playing the intended game. NEVER insert a metal disc indeed! One insanely slow day in the store,boredom led myself and a young staffer to begin launching assorted pogs out into the street from the doorway of the store. We advanced to slammers quickly, and then sanity went out the window as I loaded a Loonie(Canadian dollar coin), into the caster. A quick flip of the wrist took a noticeable chunk out of a brick wall nearly a 100 yards away. I was damn lucky no pedestrians were between me and that wall. He has chosen his weapon. Looks like the ideal tool for a mean older sibling to dispose of the things into an inaccessible place (off a bridge, into a ravine, a dump, body of water, etc.) while little bro/sis (did girls ever get into pogs?) freaks out. Oh dear lord! I have been searching for my nemesis since ’93. Teddy, the neighbor boy, had this. 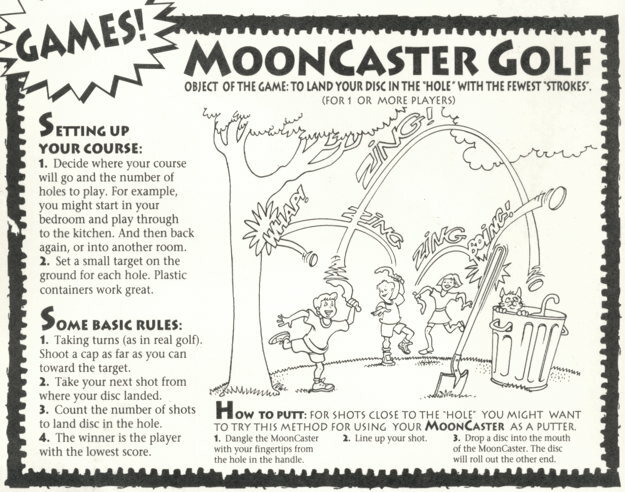 He would galavant around the neighborhood chucking caps shouting “it’s Mac tonight” ala McDonald’s. August 12th, 1993 I lost my left eye to an advertising mascot/a milk cap craze. 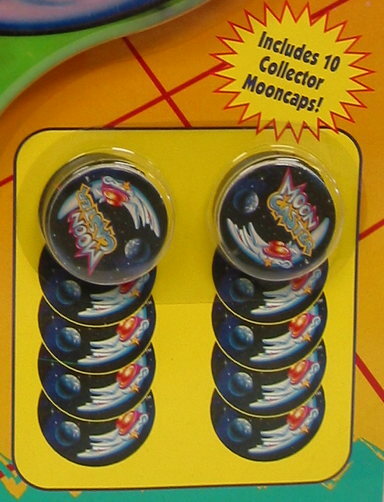 The best use of “pogs” yet. 1. Hurl them as far away from yourself as possible. Is this strip by Ed Piskar at BoingBoing.com what you’re looking for, Walak? Superficially, it’s about a particular hamburger mascot, but the dialogue works surprisingly well in the context of pogs, too. That’s probably because McD’s hamburgers and pogs have a lot in common: both are round and taste of cardboard.